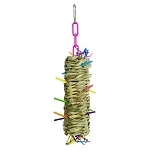 Home > Bargain Basement > What a Cornball! 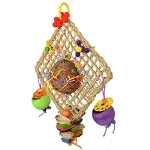 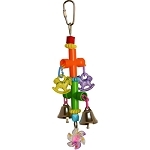 16 x 8.5 x 4"
Our “What a Cornball” hanging toy has been designed to fascinate your medium size bird. 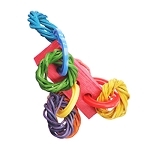 Corn husk shred, vine braid, colorful wooden beads and paper twist rope are tied together with leather and sisal twine and attached to a wooden hanging clip. 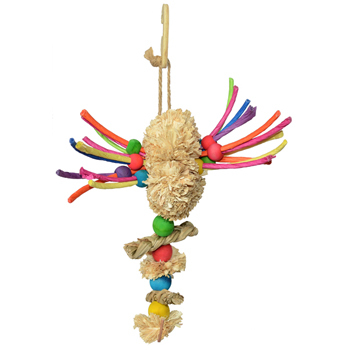 These all-natural, bird safe materials combine to deliver your bird a source for hours of preening and chewing fun.